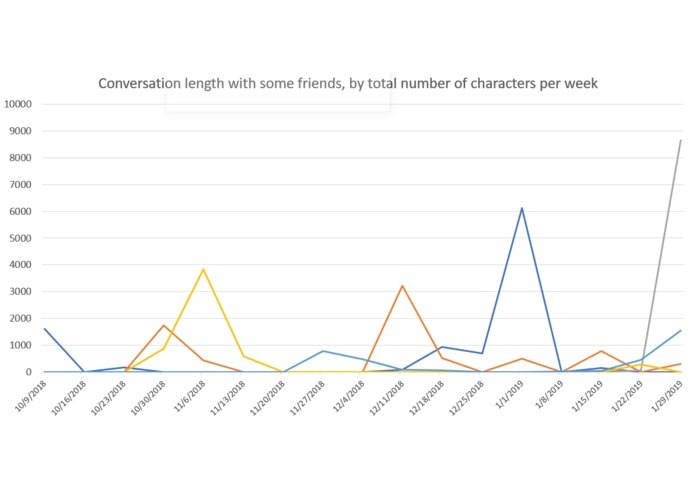 Being the nerd I am, I've always wanted some data-backed insight into the nature of my social interactions online, and I figured I wasn't the only one, Thus arose the idea to build a simple, easy-to-use tool for that purpose, to analyze one's personal data from Facebook Messenger (which seems to be the dominant online text communication platform). Messenger Analyzer is a command line tool which allows the user to quickly glean a few interesting results and trends within their recorded history of conversations on Facebook Messenger. The only effort the user must invest is to download his/her Messenger data folder from Facebook's website (an intuitive < 2 minute process), and then provide to Messenger Analyzer a local file path to it. Regardless of the choice of analysis type, the output is an intuitive, conveniently formatted .csv file which can be directly imported into Excel or similar programs, to quickly create a good visualization. Option 2, especially, tends to yield very interesting insights into the trajectory of friendships over time. Building Messenger Analyzer was primarily a matter of designing and maintaining the data structures necessary to efficiently process the relatively-large quantities of data involved. 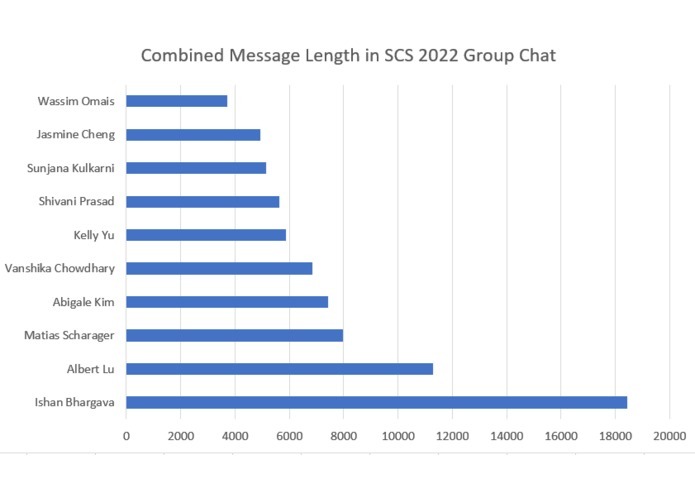 I myself am not the most active user of Messenger (I used different texting platforms for most of high school), but for someone with years of frequent usage, there would be a lot of data, and a lot of potentially significant insights to be derived about their social interactions. Minute aspects of the debugging process (e.g. making sure everything type-checked properly, fixing hidden typos, etc.) were sometimes rather irritating due to the complexity of the data structures and their interactions. I've been meaning to construct such a personal texting-data-analysis-tool for quite a while, so it feels good to finally bring it to life. I've already discovered some cool trends in my own interactions with people, and in my friends interactions in group chats, just today in the development of Messenger Analyzer - so I'm excited to offer a similar chance to others. I picked up quite a bit of experience in data structure design and efficient data processing throughout this whole process. There is a LOT of room to add additional features and depth of analysis to Messenger Analyzer, to make the tool even more potent at enabling people to derive interesting insights about their interactions. Data like reaction counts, emoji usage, word choice patterns, etc. could easily be integrated, to useful effect. I did this project solo (see my write-up about the project itself for details).